Pendulum Dowsing … Does it really work? Yes/ No… Does Pendulum Dowsing Work? Yes! Pendulum dowsing is an art of divination that can be used for accessing information that is not yet known. Through pendulum dowsing, you are able to use a pendulum and your physical body as a medium to connect to knowledge, wisdom and insight. A pendulum acts in a manner similar to an antenna in that it can help you to tune into information stored within the patterns and vibrations of the one energy flowing throughout All That Is. Through your intention you can focus your antennae (pendulum) to connect with the guidance of the Universe, of your Higher Self, and your Guides, Angels, Subconscious mind, the Akashic Records, and more. Pendulum dowsing is also an incredibly effective way to tap into and develop your intuition. There is however practice, and skill required to learn to accurately dowse for clear guidance. This is because a pendulum doesn't have any power other than what you give it. A pendulum is simply a tool. It doesn’t have magical powers or properties… Yes, it carries a specific vibration, and many are made of crystal, silver, wood, or copper which can be high vibrational, but the pendulum will not work independently from you. Your skill and belief in your ability to receive guidance through pendulum dowsing will work plays a huge role in the process. Practice is key too. There is however no predetermined psychic ability needed to learn to pendulum dowse. This is something anyone can do! Based on my experience, practicing with the pendulum to access guidance from the spiritual realms will help all of your psychic abilities to develop. 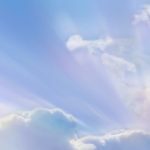 You have the ability to receive direct guidance from, and to hear, see, know and understand the insight and messages from your team of spirit guides and angels. Pendulum dowsing can be like an antennae for you… Helping you to learn to receive this information which is already all around you. Learning pendulum dowsing to tune into the guidance of the angels has many benefits. The pendulum acts as an antennae, helping you to translate infinite information into specific knowledge and guidance which you can understand. 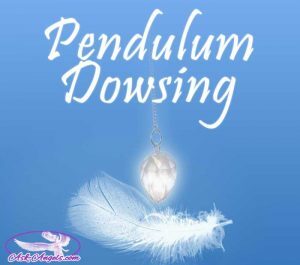 Pendulum dowsing will help you to tune into yes/no answers… But again, as you develop your intuition in conjunction with learning to pendulum dowse you may be surprised at the accurate and detailed information you are able to receive. The amazing thing about dowsing is that anyone can learn to do it. However like any skill, practice is required to gain accuracy and mastery. The funny thing about mastering pendulum dowsing is that once you really master the art of dowsing with a pendulum, you will be receiving direct guidance from your angels and the Divine, and you will no longer need the pendulum as a tool. But, much like life, the power of dowsing is not about the end result, so much as it is about the process and journey of better understanding your connection to the infinite field of consciousness and All That Is. Pendulum dowsing will help you to receive guidance while increasing your awareness of the subtle energies you are constantly interacting with and experiencing. Dowsing was traditionally used to search for water, minerals, lost objects and more… But my main experience with it has been for the purpose of obtaining wisdom and knowledge from the angelic realm for health, wellness, abundance and emotional well-being. You can also use dowsing to develop you intuition and to simply explore the world around you, in addition to the process of receiving yes and no responses from your angels. Accurate dowsing requires you to tune into the subtle energy around you, and to translate it into clear answers. All of life is interconnected, and yet each person, animal, plant, or objects vibrates with it's own unique energy field. To receive guidance and clear answers from this energy field, which includes you, your angels, and All That Is, you will need to learn how to tune into the subtle vibrations of life first. Increasing your sensitivity to the natural energies around you is an essential step in tuning into the guidance of the angels, and like any skill it can be developed and improved. Whether you are open and aware of your intuition or not… You are able to access a vast amount of guidance, insight ,and information from beyond the physical. Through pendulum dowsing, you’re able to begin to tune into it… You’re able to receive guidance, answers and wisdom from the vast field of universal knowledge in a way which you can visibly see. Are you the one making the pendulum move? Most likely… But with focused intent this involuntary movement can reveal a great deal of insight into the subconscious, akashic record, collective consciousness, and into the realms of spirit. For a comprehensive course on learning to pendulum dowse to work with the angels… Click here! Channeling- What Is Channeling Really? Hello Melanie, I first want to thank you for sharing all of your knowledge it has been very helpful. My question is instead of using a pendulum for dowsing can I use a Crystal pendant on thin necklac chain? I have heard that you should not read cards, rune stones, pendulum, etc., every day as it will confuse you with too much information. You may also become too dependent on using it to control every aspect of your life. Is this true? I would like to practice pendulum dowsing, but am concerned that I shouldn’t do it every day. What do you think? Hi Geri… I think whoever you heard this from was probably meaning that you don’t want to rely too heavily on tools so that you ignore your intuition and ability to make decisions… However, I personally found the pendulum to be an incredible tool to boost my intuition and ability to make decisions… I did use it every day at first, double checking insight I directly received, and asking all kinds of questions, and it helped me develop to the point where I now never (or very very rarely) use a pendulum… It was like a training tool, and it helped so much that now I no longer need it.